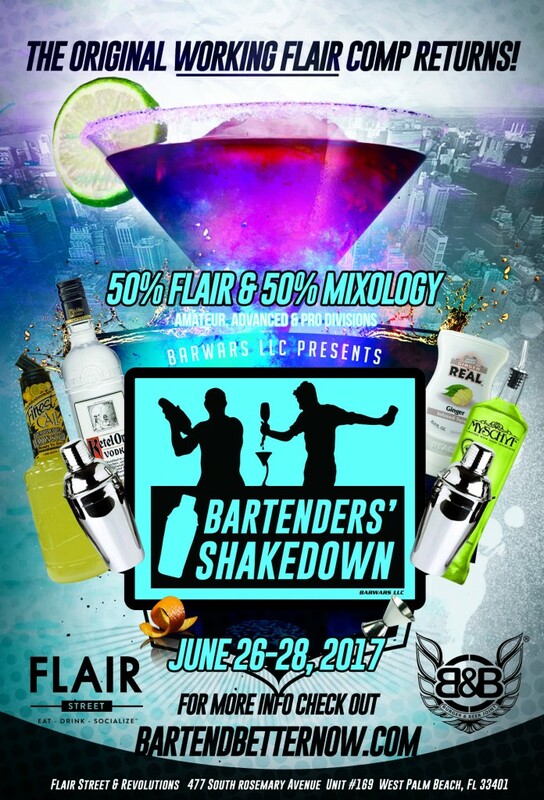 The 1st Working Flair Bartending competition is back! This multi round multi day open bartending competition takes place in Palm Beach, FL with three seperate divisions for Pro, Advanced and Amatuer division bartenders. 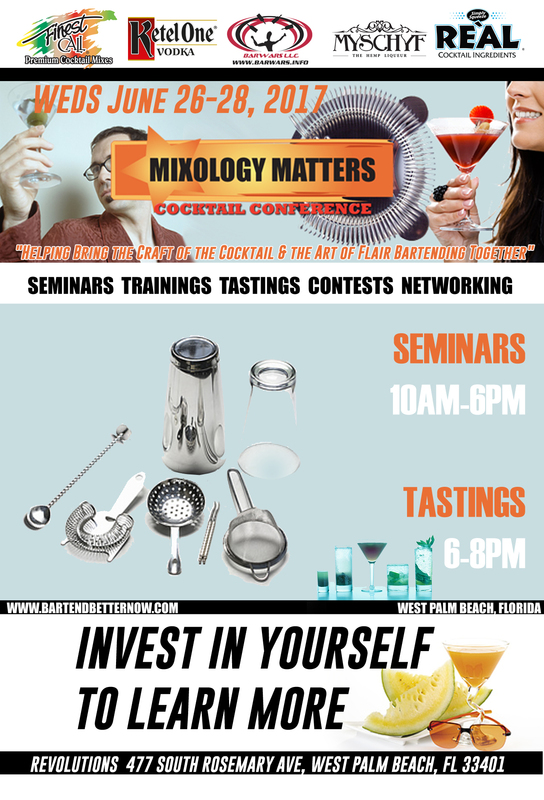 This is a fun Flair competition with emphasis on Working Flair, Mixology and testing a Flair Bartender in a true working environment. We start with competitors picking random drinks from the “Master Drink List” as well as create an original specialty cocktail and then they are required to make the drinks with the best of their abilities using their best Working Flair & Mixology skills. Mixology, Flair and Accuracy all in one round! We have all done blind speed rounds but imagine a competition based all around a blind Working Flair round… we will shakedown the competition to see who is the best Flair bartender in a true working bar environment. This event will be full of fun, Flair and features. 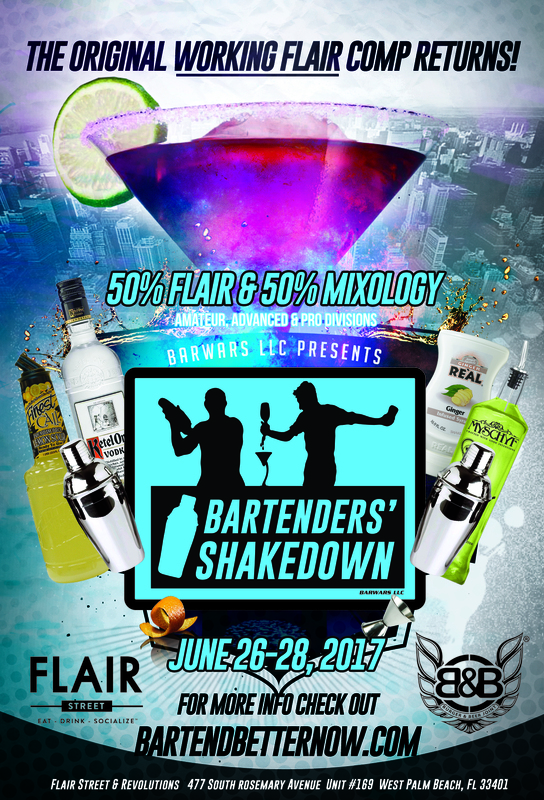 Join us for the ” Bartenders’ Shakedown 2017″ June 26-28 2017. Rèal Ingredients, Finest Call, Ketel One Vodka, Myschyf, BarProducts, Revolutions, Burger & Beer Joint, Flair Street, Tiki ‘Ono, Renegades & BarWars LLC. Rules , Drink List, Bar Layout and Accuracy Rules are NOW POSTED!